With your help, Forever Young Senior Veterans works to end the silent suffering of military veterans 65 years and older by granting their unfulfilled dreams, returning them to the places where they fought, and giving them the honor, healing, and hope they need and deserve. What started as one man’s wish to visit the National World War II Memorial, turned into the main mission for Forever Young. Many of the WWII veterans had not witnessed the monument that stands in their honor. The memorial wasn’t complete until 2004. By then, the trip to Washington D.C. was too difficult for these elderly veterans to take on their own. Forever Young is taking several trips per year, that also include Normandy, Belgium, Italy, and Pearl Harbor. "The memories of war flooded back in as if they had been written in my mind in gold. It brought me such peace to return to Italy after all these years and honor the men that never made it home. Thank you to everyone who helped me return. It was a fantastic trip. I’m truly appreciative." Charlie Henderson - 449th Gasoline Supply Co.
"It brought back a lot of memories, a lot more than I was used to. It brought me back to how close I was with my comrades. And it was very encouraging to remember them. I always wanted to come back to Belgium and this is my complete wish since 70 years ago." "This trip back to Normandy changed my life. Before I was barely even able to talk about the war. Now I see my small role mattered in a big war. I am now speaking at schools and civic organizations, telling my story." Every one of us has a dream. It's something that calls to us from deep within. Something, that if we can achieve, it will add years to our life and life to our years. What better way to honor our veterans than to give them a priceless gift. The wishes we've granted range from throwing out the first pitch of a MLB game or going on a Wild Hog Hunt, to finding a buddy from the war. What is your dream? 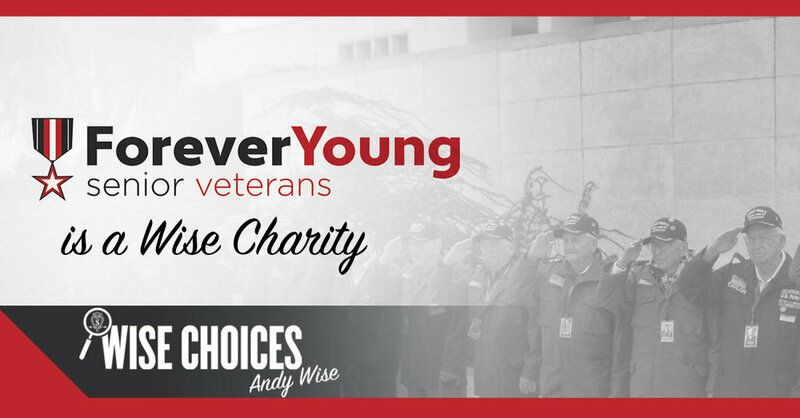 We’re honored to be selected as a “Wise Choice” for a Charity by Consumer Investigator, Andy Wise.